A deceptively quiet story, with swift currents running deep beneath its surface, considers the fate of an unprepared Mexican housekeeper in Orange County left to care for her employers’ young children. 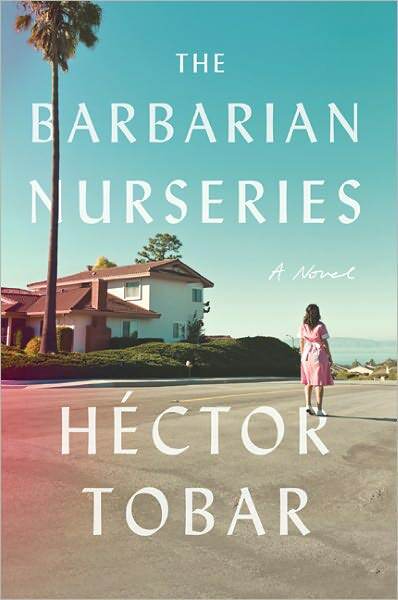 Pulitzer Prize-winning journalist Héctor Tobar‘s second novel tackles the ambitious goal of characterizing Southern California’s multicultural schizophrenia and achieves it admirably. Araceli is quietly comfortable in her role as housemaid to the Torres-Thompson household in Orange County, one of three Mexican domestics; but when the gardener and nanny are suddenly dismissed, she is puzzled to find herself expected to care of three children she considers strangers. Worse, she wakes up one morning to find both her employers gone with their baby–leaving her alone in the house with two young boys. In desperation, she sets off with them on a daunting trek through diverse and unfamiliar Los Angeles to try to find their estranged paternal grandfather. Tobar creates an intriguing juxtaposition of cultures, as the Torres-Thompson children are thrust into a huge, unfamiliar, multiethnic city. Most observations are from Araceli’s perplexed, amused, lyrically bilingual perspective. At other times, we look through the boys’ eyes, with all the wonder of the new, including evidence of poverty they’ve never before encountered. The older boy (age 11), in particular, has a unique way of clinically interpreting new experiences through books he’s read, imbuing the world with fantasy. The adventure with the boys is a comedy of errors–Araceli becomes suddenly famous as a symbol of racial politics, and her fate depends upon forces outside her control. The Barbarian Nurseries is a beautifully written, contemplative and thought-provoking view into Southern California’s diversity and contradictions, as well as a fascinating and well-presented story. This review originally ran in the September 27, 2011 issue of Shelf Awareness for Readers. To subscribe, click here, and you’ll receive two issues per week of book reviews and other bookish fun! Y’all! One of the best books I’ve read this year! Rush out there and get it!! How funny – I was reading and thought, gosh, I feel like I’ve read this before! And then saw the ending….